Chinese New Year has always been a time to indulge in all things gastronomic for the Chinese community. 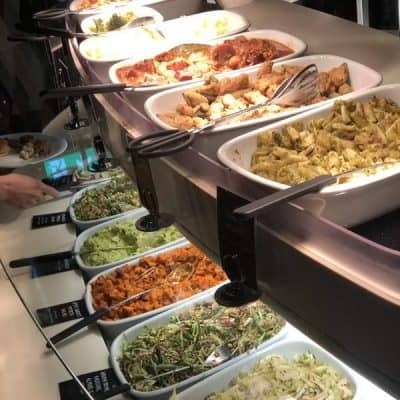 In Asia, we take this occasion to show our hospitality to friends and business associates by hosting massive multiple course New Year feasts with specially themed auspicious dishes. 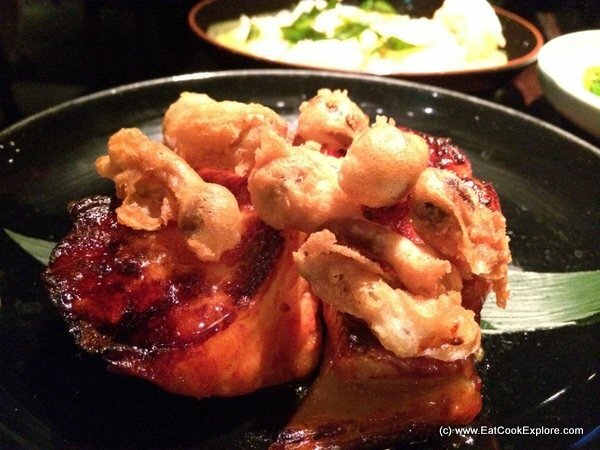 It’s great to see that Hakkasan’s Executive Chef, tong Chee Hwee has adopted this tradition into the menu offerings in the London restaurants. 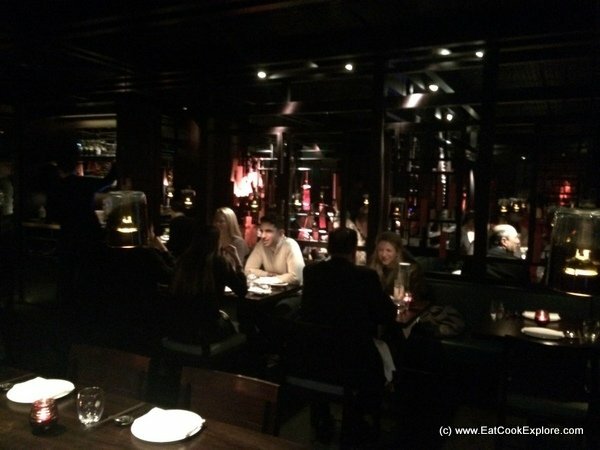 Hakkasan is one of London’s most stylish Chinese Restaurant. 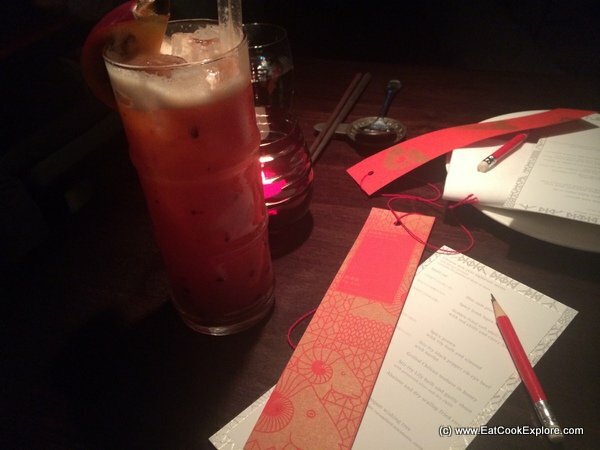 It has an innovative menu which uses Chinese cooking techniques married with European influences and local ingredients. What’s different with the Chinese New Year menu is the inclusion of some dishes using highly prized ingredients like abalone and dried scallops. The first of the starters is a trio of dim sum. 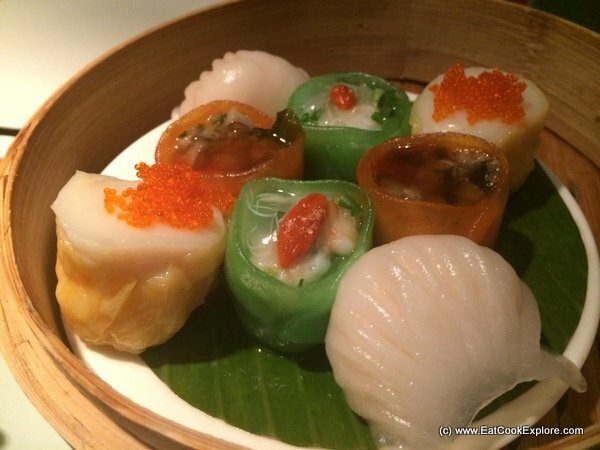 As expected, the scallop dumpling and prawn and chives Har Gau were finely executed with balanced flavours. This next dish was delightful contrast, Golden soft shell crabs with curry leaves. This is a dish which originated from the open air seafood restaurants in Malaysia that the chefs have elevated into one worthy of a Michelin star restaurant. The crunchy aromatic crabs are deep fried and served with crispy fried “butter” and curry leaves. The Spicy Lamb Lupin wrap is the alternative to the a Peking Duck starter as a nod to the Year of the Sheep. 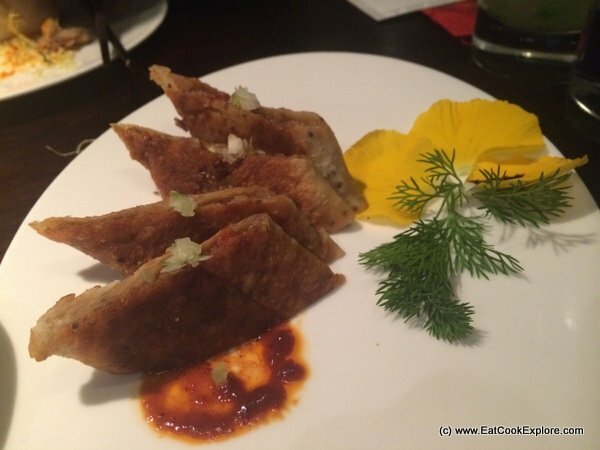 It’s served with their house Hoi Sin sauce, a crunchy texture with a fragrant spiced lamb filling. Unusual and delicious. 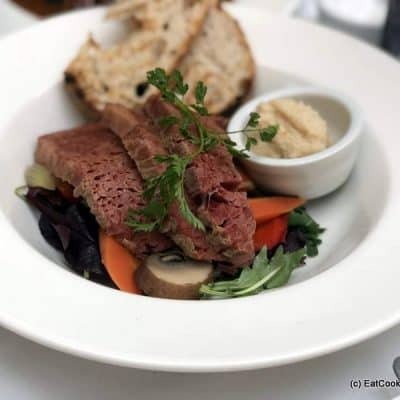 The main courses are served family style, where all the dishes are served at once to share unlike at their sister restaurant HKK which is served banquet style, where each dish is presented individually. 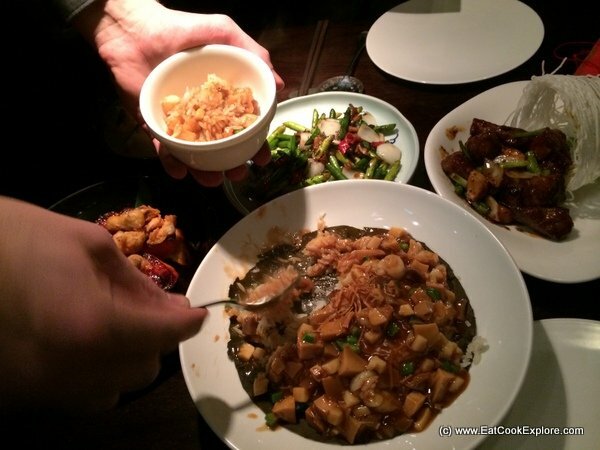 We were engulfed in the many aromas and textures as dishes began to appear on our table. The centre of any family style Chinese meal is the rice dish. Here they did a variation of Hokkien fried rice with a luxurious version with abalone and dried scallops, both highly prized ingredients in Chinese cuisine. This was the highlight of the meal. 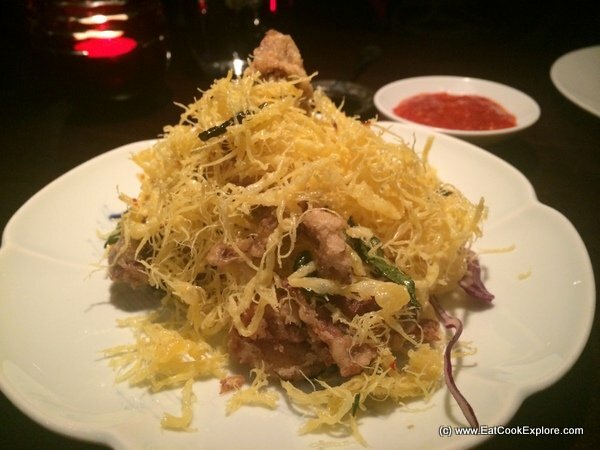 You must order this dish when you next visit Hakkasan. 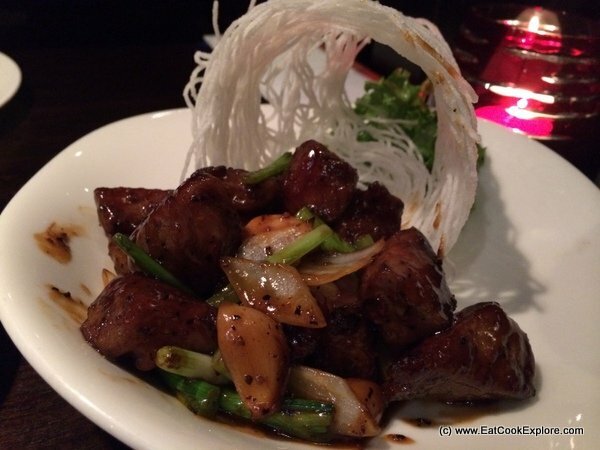 Soft tender nuggets of beef stir fried with a lot of “Wok Hei” in a Merlot and black pepper sauce. 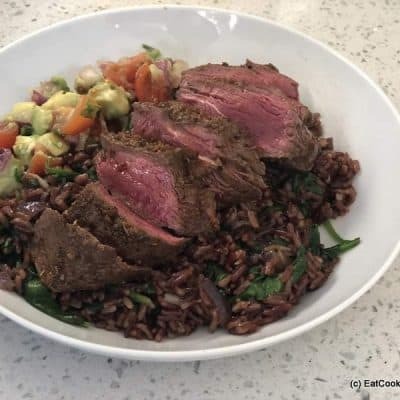 Here is a fusion dish that works where he uses a red wine instead of Chinese rice wine and served with artistic flair. Every Chinese New Year meal has to have a prawn dish as the word for prawns sound like laughter. To signify a year full of laughter, we serve a big dish of prawns. 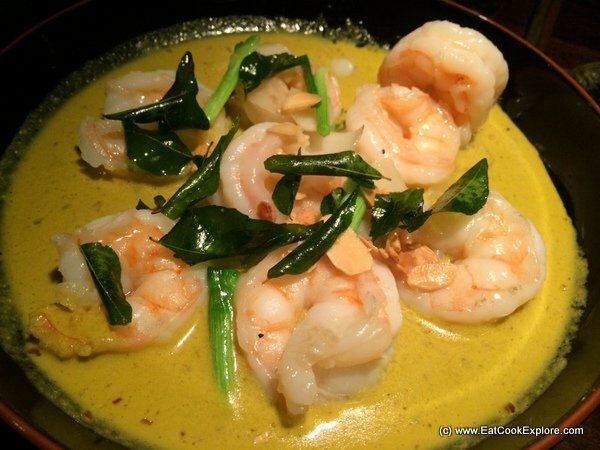 Spicy prawns with lily bulbs and almonds in a lightly spiced curry provided a contrast to the other dishes served. 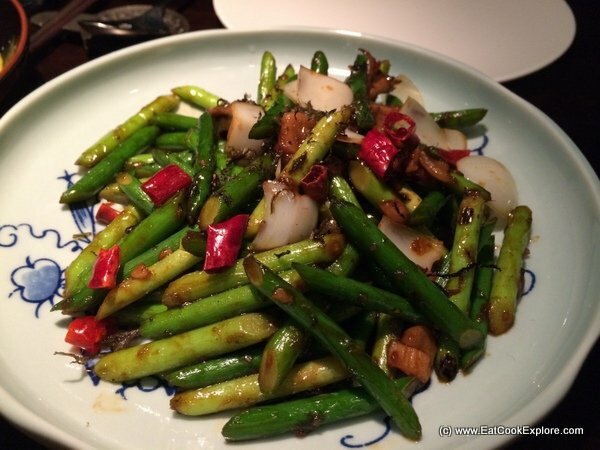 To balance the meal, the vegetable dish served was a garlic shoots and lily bulb stir fry. 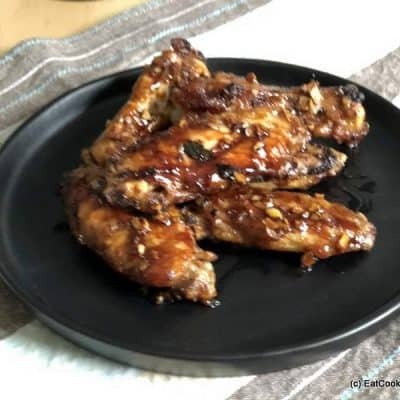 This again was quickly fried in a very hot wok resulting in a very crunchy bite and spiked with some chillies for an underlying heat. This Grilled Chilean Seabass was soft and sweetened with a honey glaze. This was truly memorable and would give that famous miso cod dish a run for its money. The pudding is served on a specially designed wishing tree plate. On it was a melange of unusual flavours from the kumquat sorbet to chocolate ganache and cocoa rocks. This was accompanied by the Kumquatcha, a cocktail with kumquats, lime and a potent Brazilian Cachaca. The meal ends with the delivery of the Kumquat Wishing Tree with the most delightful morsel which was the preserved kumquat. This had been soaked for a few days to infuse flavour and taste before being dehydrated and coated with a white chocolate layer. 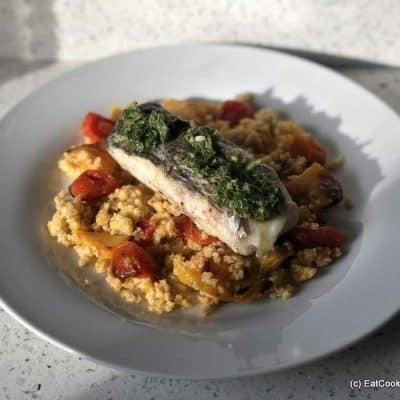 As you bite into this, so many flavours engulf your taste buds at once, from the sweet smoothness of the outer layer to the tangy kumquat flavour. Sublime. 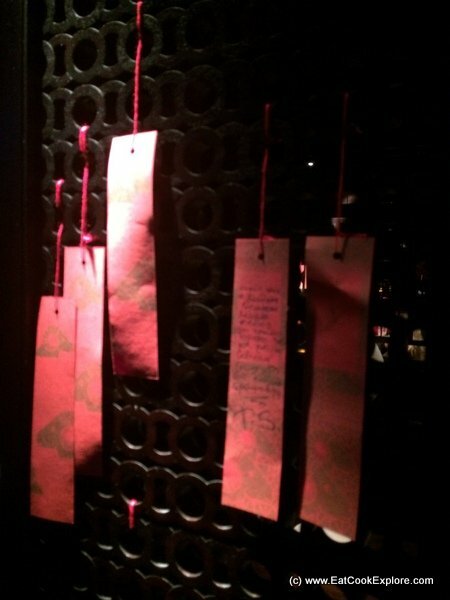 All around the restaurant, little red cards with everyone’s wishes hung. You can see what people have written on their Instagram channel. 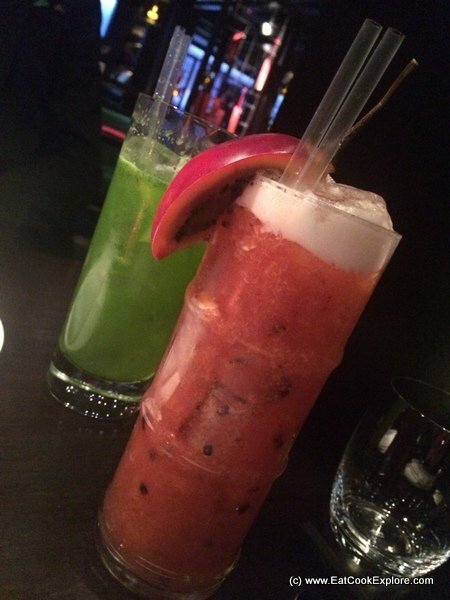 As usual, Hakkasan did not disappoint. 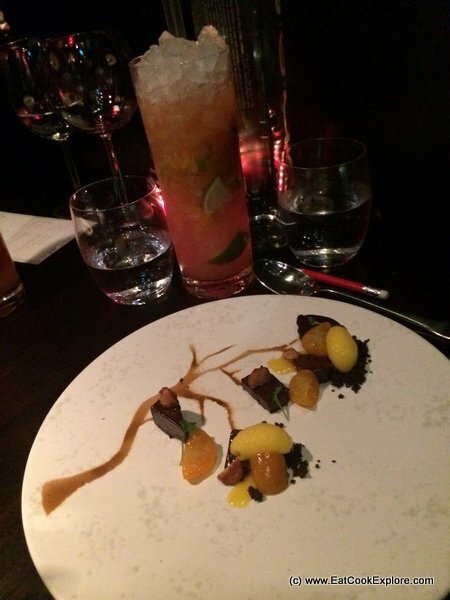 The menu was a great showcase of the high level of cooking, with the warm festive atmosphere and exemplary service. A truly wonderful celebatory meal for the Year of the Sheep. The Chinese New Year menu is available until March 1 and is £88.88 per person. You can learn more about Chinese New Year mythology and symbolism on Hakkasan’s blog here.